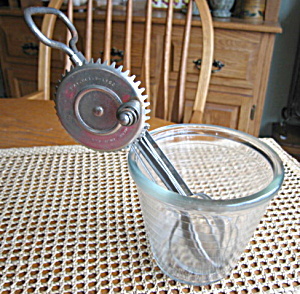 Antique A & J beater with a Hazel Atlas beater jar. The beater is patented Oct. 9, 1923, A&J USA; jar has the Hazel Atlas logo on bottom. Both are in vintage usable condition.